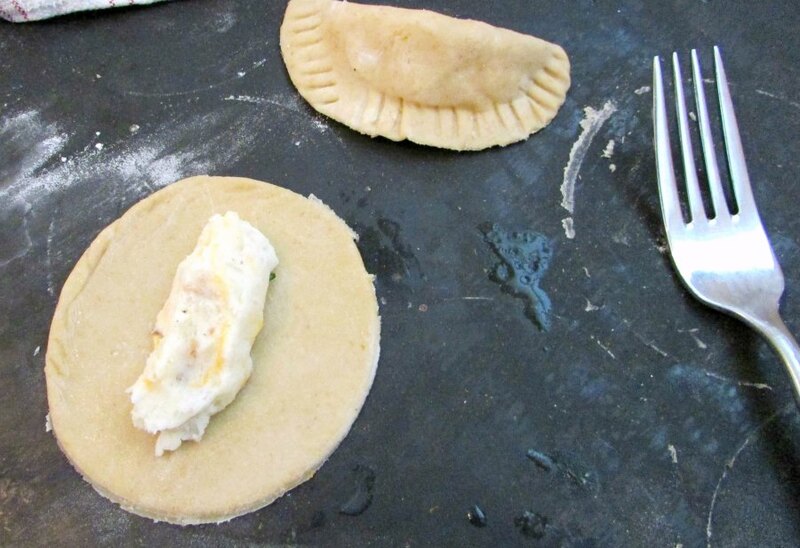 These homemade pierogi and loaded with flavor. Cheese, bacon, sour cream and chives just like a loaded baked potato but in extra yummy dumpling form. The idea to do pierogi popped into my head and it sounded wonderful, but I had never made pierogi on my own. I had helped my mother-in-law once. It was a lot of fun. A bunch of Matt's cousins, their kids, my brother-in-law and Nana and Mike all got together to do it. A group broke off to make homemade polish sausage (it's nothing think the kielbasa I thought of before being introduced to more tradtional Polish recipes). The rest of us were on team pierogi. We made a TON of them with a handful of fillings. It worked out great. A couple of people worked on rolling the dough thin. They had the Kitchenaid pasta roller, so that made things go pretty quick. Then there was a stuffing station, a boiling station and somebody who was laying them all out to dry before they went in the freezer. It was very efficient, a lot of fun and everyone had a freezer full of wonderful treats when it was done. Nana got hers out for the following Easter and they were all sooo good. Anyway, after that tackling the whole thing by myself seemed a bit intimidating. Especially since my pasta roller is this rolling pin. So, I decided I would need to think of something else to do for my potato recipe. Then, MiMi sent a text one Friday night saying she and Pops would like to steal Jax for a bit the next morning. I had my chance, it was now or never. A couple of hours with my hands free was just the inspiration I needed. The actually came together pretty easily. Of course, they do take some time and a little patience. I would say they are worth the effort. I don't think they will become a weekly staple, but it fun to know that I can make them if the situation arises! 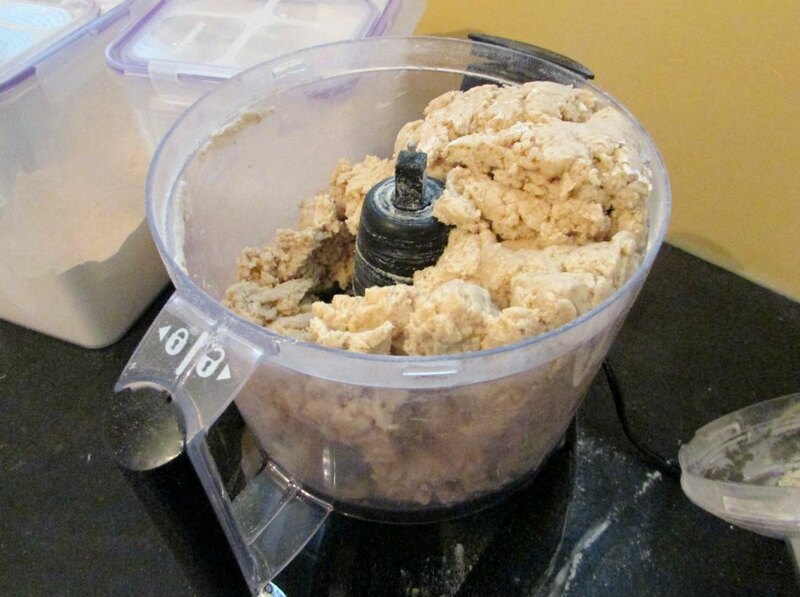 To make dough, mix together flour and salt in food processor. Add in water, eggs and butter. Pulse until a dough forms. You can add a little more flour or water if needed. Pull the dough together into a tight ball and wrap in plastic wrap. Set aside to rest for at least 20 minutes. Meanwhile, peel and cube your potatoes. Place in a pot of water and bring to a boil. Boil until tender, about 10-15 minutes. Drain completely. Place pan of drained potatoes over low heat and allow any remaining water to evaporate. Add cream cheese and mash to your desired consistency. Stir in salt, pepper, cheese, bacon and chives. Place in refrigerator to cool. Once the pierogi are all formed, bring a large pot of water to a slow boil. In batches, drop the pierogi in and allow to boil for 1-2 minutes. When they float, they are ready to be removed with a slotted spoon. Drain on a towel and continue working until all pierogi have been boiled. At this point you can lay them out on trays to freeze. Once individually frozen, you can place them in freezer bags and freeze for up to 3 months. I froze about half my batch and went ahead and cooked the rest. To prepare, melt half the butter in a large skillet. Add the bacon. 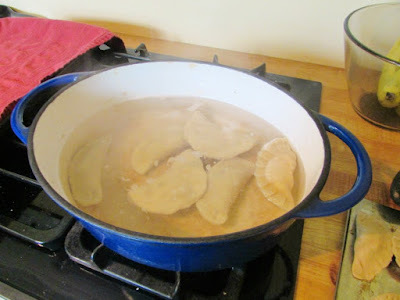 Place pierogi in the melted butter so that they form a single layer. Cook over medium heat until they are gold brown, flip and cook the other side. Remove from pan and place in serving dish. Continue working, adding a little butter and bacon as you go, until all of the pierogi are cooked. Sprinkle with cheese and place in a warm oven (I had mine at 250 F) until cheese melts. Sprinkle with chives and drizzle with sour cream. 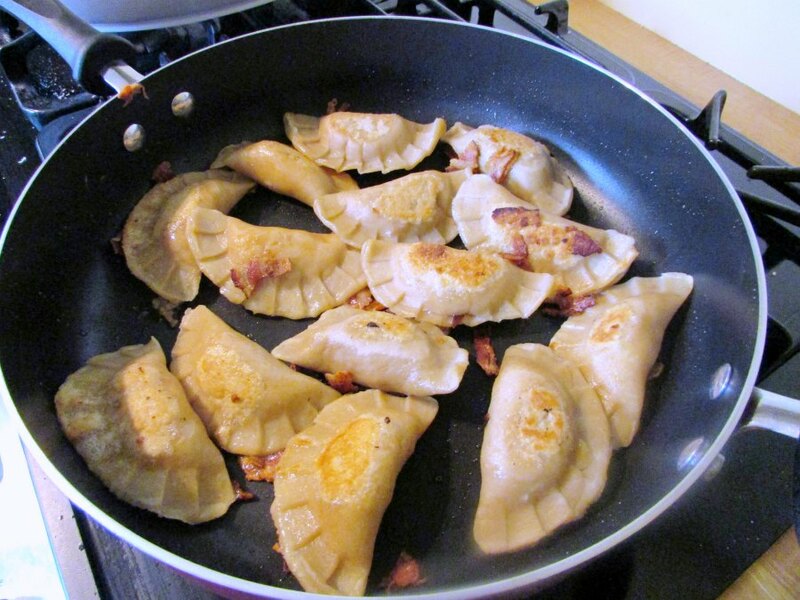 I love pierogi and your recipe sounds perfect! They are delicious. I had only had them a couple of times before I married into a Polish family, but now I really love them. The addition of bacon doesn't hurt! It was so much fun having everyone work on them. I actually enjoyed doing it by myself more than I thought I would, but it certainly lacked the efficiency and the entertainment the group provided! I have a favorite restaurant that makes these, she's from Poland and they are so good. The trouble is, she's 2 hours away! I might actually give these a try. I love them! They are actually kind of fun to make. Just be sure to block out plenty of time and get into it! The nice thing is you can make them ahead of time and freeze them after the boil, that way you can just pull out as many as you'd like when it is time to eat! Helping myself to a few of these, Carlee! They look Ah-mazing! I think it's wonderful that you are a foodie family. Pierogi and homemade Polish sausage, doesn't get any better!! =) Thanks for sharing! You can't go wrong with pierogies! Yum! We usually have them at Easter with the in-laws and they are always delicious. I thought a little bacon would take them to the next level! It was fun to do. never tried this, but it sounds yummy! Yum, love pierogi. Yours look delicious. Now I want some. Having the whole family together to make them sounds so fun. It was a lot of fun and made making a ton of them so much easier. It was great to hear the stories too! It really was fun to all be together working on them! The solo process was actually quite enjoyable too. They aren't hard to make, just time consuming! I hope you guys love them if you make them. Did someone say potato? I'm in. I've never made pierogies before.... Only buying the premade frozen ones. I'll need to bookmark this recipe! Sounds so yummy!! I know, I love potatoes too! So many things you can do with them. It was fun to make pierogis from scratch. I hope you try it! I can't remember if I've ever had pierogies. I'll have to try them some time. I'm a bit intimidated by the process but I think I'll start with a small batch. They look really good. They were actually kind of fun to make once I decided to just go for it! I hope you get to try them sometime. OMG your Loaded Pierogi recipe sounds wonderful! I have never tried to make them myself but I may now. So glad you shared with us at Merry Monday. Your recipe is on our party board now! Thank you! I thought they would be hard, but they were actually fun to make. Just a bit time consuming! Thanks for hosting and sharing! Thanks for sharing! Pinned to the Merry Monday board. I'm planning to try your recipe. Good Heavens! My mouth is watering so much right now. I have to try these out. They sound so good. Yummy! One of my favorite kind of food! Reminds me of my mom who used to make them often when I was a child. What a lucky kid! These are definitely becoming one of my new favorite comfort foods! 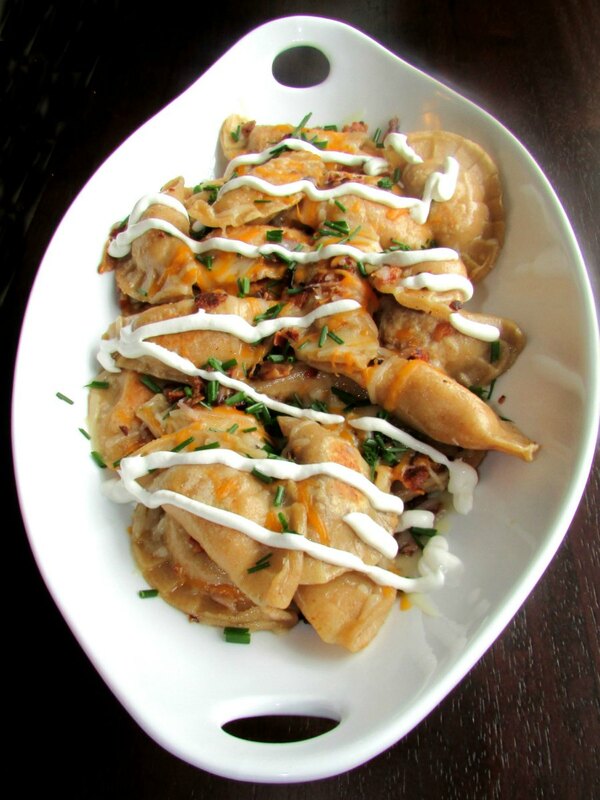 Your Loaded Pierogi sound and look delicious. Thank you for sharing with the Clever Chicks Blog Hop! I hope you’ll join us again next week! Thank you so much! They really were good. We ate the first half the day I made them, but we have emptied the freezer already now! Next time I need to make even more! Great Choice!! Looks Yummy!! Thanks for linking up on My 2 Favorite Things on Thursday Link Party!! Hope to see you again tomorrow!! Love partying with you!! Pinned! Looks so delicious! Thanks for sharing at Inspiration Thursday! See you tomorrow for another party! They really were amazing. I was worried they wouldn't live up to the ones I made with "the pros," but they were pretty darn delicious if I do say so! Good Afternoon Carlee, It is lovely to meet you. 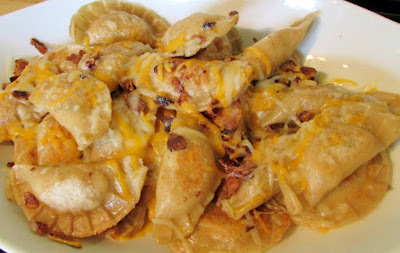 Do you know I have never eaten pierogi...but now with your recipe I can remedy that situation. Thank you for introducing me to a new recipe. I hadn't had very many pierogi before marrying into a Polish family! I do really enjoy them now. This was my first solo attempt and if I can do you it you can certainly do it! I love pierogi, but have never made them at home, you've inspired me to give it a try! Thanks for sharing at What'd You Do This Weekend?! It really isn't that bad. If you can get into the right frame of mind, it is actually quite fun! Thanks for hosting! This perogi dish looks like it would definitely warm your belly. Delicious! They are definitely one of my new favorite comfort foods! Can't wait to try this! Thank you so much for linking up at Tasty Tuesday! This post has been pinned on the Tasty Tuesday Pinterest board! I love having you and can't wait to see you next week! They are soooo good, a definite comfort food! Thanks, Julie! My youngest sister really wants me to make them again. Maybe I'll have to have her come help! Way to go! You did an amazing job. I think I will have to try them. I have never had them before.